Gather round fans~ So what do you think will happen in the next episode? Tutorials and Support for Visual Novel games. What is it that your heart desires? CG packs, Artbooks , Themes, and Magazine. 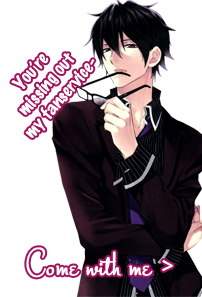 Otome Game related stuff that doesn't belong elsewhere. All thank you's, suggestions, questions, complaints from non-staff of Bishounen Gemu are placed here.